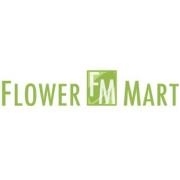 Welcome to Palm Springs Flower Mart!Located inside of Hotel Zoso, Palm Springs Flower Mart specializes in select Orchid Plants, Roses, Exotic Flowers and European Floral arrangements. We have designers on staff that will assist you with creating any designs or arrangements you desire. Palm Springs Flower Mart also has unique pottery, Rigaud candles, high end art deco styled plates and vases. We provide arrangements for weddings, funerals, banquets, restaurants, hotels and other private events. Contact us today for all of you flower design needs.